What is Strata - New to Strata Living? Let's cover the basics! You are here: Home / What is Strata? This is a great page to start on if you are researching some basic information about strata. 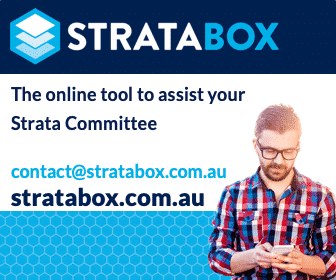 Wondering what strata is all about? After exploring these resources, feel free to view our other Information Pages for more specific information or to find out more about legislation around Australia. Strata or strata title in Australia is a model of property ownership that allows for individual ownership of certain parts of a property or parcel of land and shared ownership of others. Strata title schemes clarify ownership. They also provide a comprehensive framework for the management of a development from its planning through to its eventual termination. They set out the rights and responsibilities of all parties. This not only ensures the smooth running of the scheme but provides protection for all parties under law. Legislation has had to keep pace with a constantly evolving industry. Legislation now includes provisions for every style of scheme from residential apartments to marine berths. For more on Legislation, visit our ByLaws and Legislation. What is the History of Strata? Strata title as a term was first used by the NSW Parliament when they passed the Conveyancing (Strata Titles) Act of 1961. Prior to this, it was necessary to use cumbersome structures to define the ownership of single units or apartments within a larger complex. This arrangement caused banks to became increasingly reluctant to provide lending for units or apartments. The concept of strata title was gradually adopted by the other Australian states. This lead to adoption in other countries including parts of Canada, Singapore, New Zealand, Indonesia and many others. Schemes have grown in complexity over the years to cope with the increasingly complex nature of developments. Along with this growth has seen a range of specialised professions such as strata managers, strata lawyers, searchers and other industry professionals. Stata Title Schemes are used successfully in many different residential settings, including residential complexes, serviced apartments, retirement villages and caravan parks. They are also used in industrial complexes, commercial buildings and retail precincts. How do strata title properties work in practice? If you are looking at purchasing your first unit or apartment, you may be wondering how strata works. This style of living may not be something you have encountered before. Owning a lot within a strata title property is very different from owning a free-standing house or building. For a start, each scheme has a unique set of rules called by-laws that lot owners/occupants are required to abide by whether they agree with them or not! Owners and residents are required to comply with restrictions on the presentation and improvement of their own lot, and any behaviour that could impact on other residents. Examples include noise, the keeping of pets and the storage of bulky items such as caravans and boats. Over and above the scheme by-laws, each state has a comprehensive set of legislation concerning schemes. State Legislation covers issues as diverse as pest inspections, smoke alarms, fire safety, safety glass, asbestos management and lifts. What about compliance to legislation? The scheme and its’ compliance with state legislation and the scheme’s own by-laws is the responsibility of an Owners Corporation and a Strata Committee. The Committee meets regularly to decide on important issues. Lot owners may be required to attend a variety of meetings to vote on important issues although this is not generally compulsory. The compliance requirements of a scheme are so comprehensive, it’s often necessary to engage the services of a professional Strata Manager to ensure the smooth running of the scheme. Schemes are required to insure themselves against unforeseen events. Building insurance provides cover in the event of loss or damage to the buildings within the scheme. This includes the structures and fittings within each individual lot and all common property. Schemes also require public liability insurance; workers compensation insurance and cover for voluntary workers. Requirements may vary from state to state, so it’s a good idea to check what the requirements are in your state or territory. Take a look at our state-specific Insurance page for more information. Lot owners are required to pay quarterly levies that go towards the administration and upkeep of the scheme and capital works, either scheduled or emergency. Special levies can sometimes be imposed to cover significant unexpected expenses where no funds were allocated or available. If this isn’t an option, it’s possible for a scheme to borrow money in the form of Strata Finance or a Strata Loan. Do schemes work the same way in every Australian state? Strata title legislation is specific to each state. This means that terminology or regulations that apply in one state may be irrelevant in another. Legal advice on strata issues is state-specific so it’s important to bear this in mind before engaging the services of an expert. To find out more about the legislation that applies in your state, take our look at our comprehensive Legislation page which is divided into states for easy reference. Not only Legislation but also terminology varies around Australia. What do you call strata in each state and territory? Experts recommend that buyers do their homework before purchasing a strata title property. This will help ensure they’re not buying into something with outstanding litigation matters, significant special levies planned or by-laws that are going to be unnecessarily restrictive. The easiest way to do this is through a qualified strata searcher. A good inspection report will give you all the background information you should be aware of. The report should highlight any areas which may not be obvious from a simple inspection of the property. To find a qualified strata searcher in your state, search in our Directory. We hope this brief explanation has assisted in your understanding of what is strata title and what you can expect from apartment living. If you still have questions, explore other pages on this site. A great place to start would be on your state or territories Information page. For a very comprehensive article on the history of strata, state by state, including information about lots and common property and the role of the owners corporation, please take a look at Overview — Shared title by Robina Kidd, Partner, Holding Redlich Lawyers. BY-LAWS: A unique set of rules that apply to one specific strata title property which owners and tenants must abide by. LOT: The area or dwelling owned by each individual lot owner. UTILITY LOT: An area designated for something other than human habitation but noted on the strata plan eg. parking lots or storage areas. COMMON PROPERTY: All areas within the strata plan that fall outside of individual lots. STRATA MANAGER: A qualified, licenced professional who is trained in the day to day management of a scheme. BUILDING MANAGER: Previously called a Caretaker, the building manager is usually located on-site and works under the direction of the Owners Corporation to ensure the smooth day-to-day running of the scheme. LOT OWNER: The owner of the individual lot. CAPITAL WORKS FUND: A portion of all levies paid, are allocated to a Capital Works Fund for major scheduled capital works or unexpected emergencies. LEVY: Every owner is required to pay a quarterly levy that covers the administration of the scheme and the day-to-day running and maintenance of the property. SPECIAL LEVY: An additional levy paid by owners, either as a lump sum or in instalments, to cover unplanned or underestimated expenses. STRATA PLAN: The actual plan of the scheme showing the placement of individual lots, common property, boundaries and services, usually registered with the state land registry office. STRATA ROLL: A register of all owners, registered tenants, mortgagees and other parties to the scheme.